4 Pablo Antonio Cuadra Famous Sayings, Quotes and Quotation. 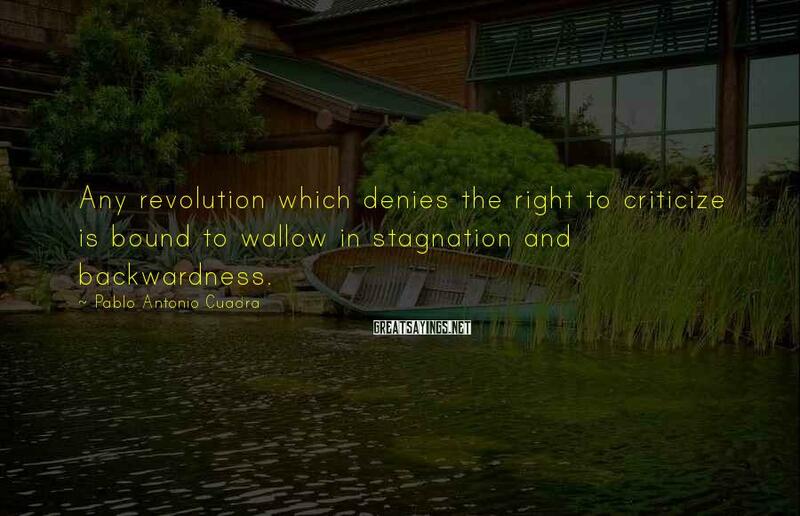 Any revolution which denies the right to criticize is bound to wallow in stagnation and backwardness. Let us be clear: censorship is cowardice ... It masks corruption. It is a school of torture: it teaches, and accustoms one to the use of force against an idea, to submit thought to an alien "other." 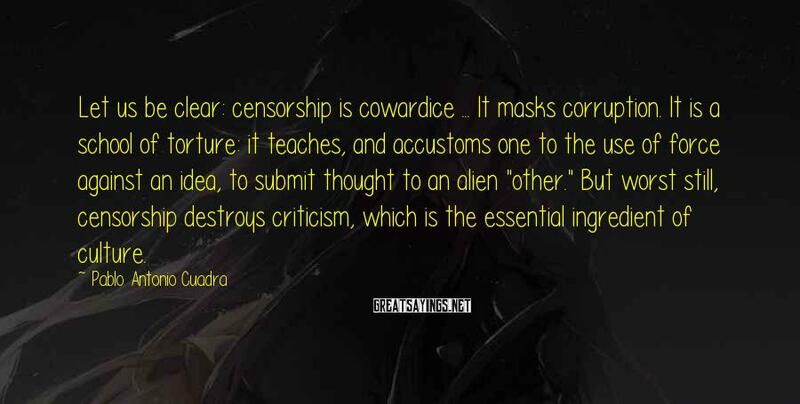 But worst still, censorship destroys criticism, which is the essential ingredient of culture. 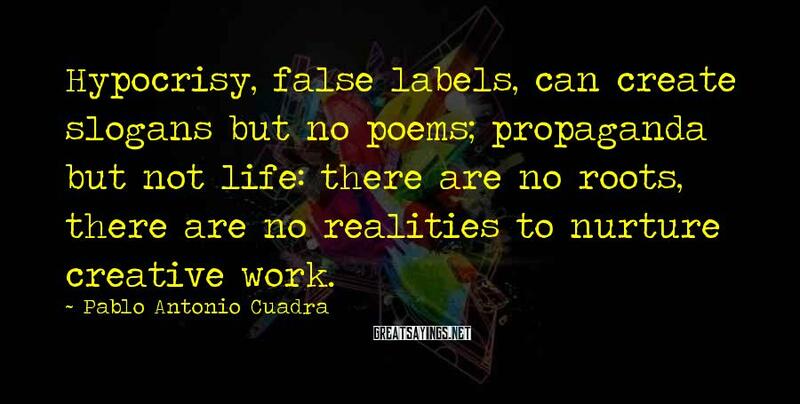 Hypocrisy, false labels, can create slogans but no poems; propaganda but not life: there are no roots, there are no realities to nurture creative work. 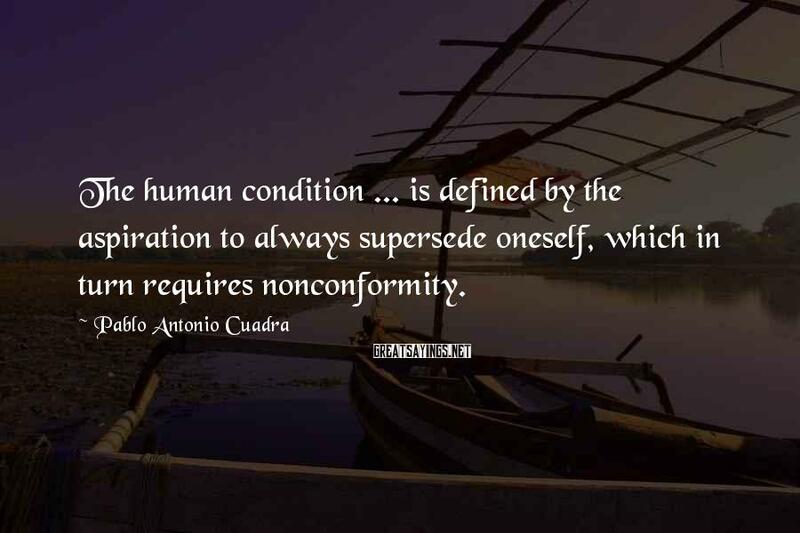 The human condition ... is defined by the aspiration to always supersede oneself, which in turn requires nonconformity.